Confined geometries usually involve reflected waves interacting together to form a spatially stationary pattern. 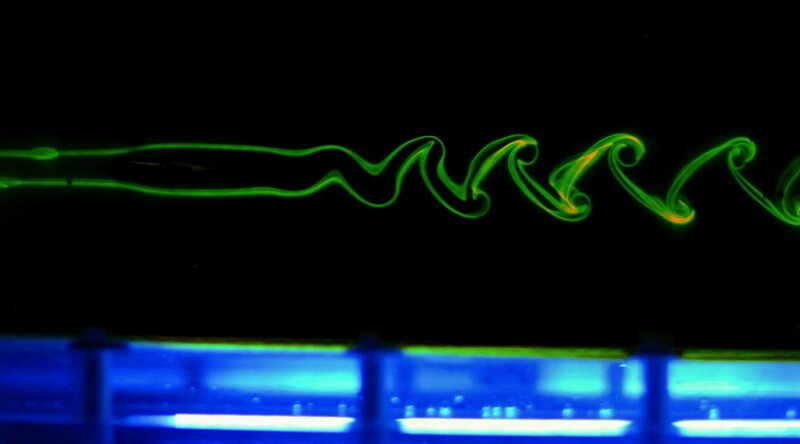 Our recent study on the locomotion of a self-propelled elastic swimmer on a free surface [Ramananarivo et al. 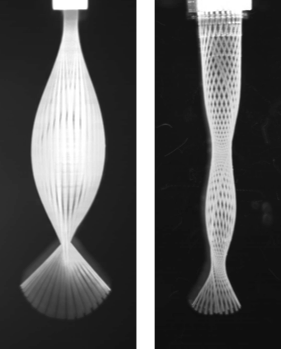 2013], however, has shown that propagating wave kinematics can naturally emerge in a forced elastic rod, even with boundary conditions involving significant reflections. This particular behavior is observed only in the presence of strong damping. Based on those observations, this study aims at giving a quantitative description of the mechanism involved to prevent the built up of standing waves and generate traveling solutions. The question is discussed here in the framework of hand-made artificial swimmers as an example of practical application but we believe that its potential is beyond this scope.